One of the oddest things about publishing and promoting a book is giving interviews. I’ve given several over the course of the last four years, since the appearance of my first book in 2009. Usually they have involved an exchange of emails or in any event written responses to written questions. 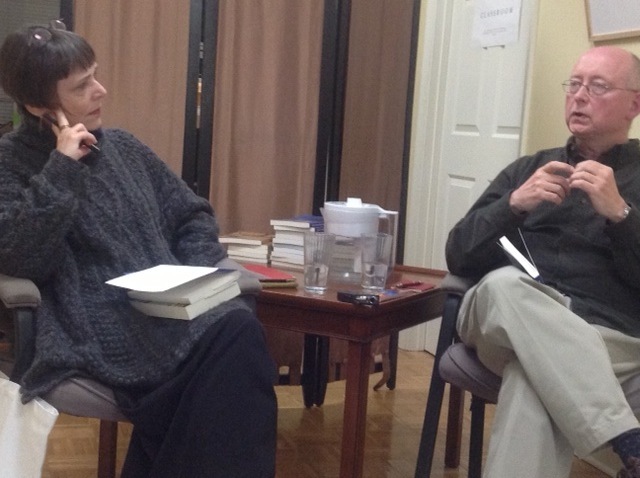 In November 2012, however, I was invited to be interviewed in front of a live audience at WriterHouse, a wonderful community organization for writers in Charlottesville, Virginia. I was a little nervous about the event, partly because it was live but partly because at that point I had heard very little reaction to my book, positive or otherwise. I didn’t know what the interviewer might ask or whether she would even like the book, which could have made for a very awkward experience. But Katherine McNamara asked wonderfully perceptive questions, and I thoroughly enjoyed the experience of attempting to give answers that did justice to the questions. And WriterHouse was kind enough to record the event and post a podcast of it.